There are many ways you can build your MLM downline team or grow your home business whatever it might be. You can use paid for advertising, site links, SEO and of course you already know about the free visitors generated via the various social media platforms out there. But... what if there was a free and already proven marketing platform specifically designed to get your MLM program or home business opportunity program out there in front of the masses, would you grab yours today? You betcha! This 100%free system is called IBO Toolbox and you can get set-up fast and free within the next 30 seconds and then start building your business bigger and better. You might already know we joined Lotto Magic back in 2005. This has given us the opportunity of many years of testing various marketing methods, SEO, paid for advertising and even social media. We've also tried many of the available "free marketing platforms" along the way, a dozen or so were just plain junk, some were good but could have been better, however with IBO we've experienced excellent (and consistent) targeted team traffic benefits. Check them out today and see what you receive, or you can read more below to get our personal perspective about the benefits you receive, how best to use the free IBO tools, and what we've learned from this amazing platform. IBO Toolbox provide you with a free marketing platform and a simple yet intuitive user interface so that you can easily get your MLM or home business program noticed fast. List your MLM or home business, upload videos, interact with others, post a PR (press release) about your home business opportunity, and also earn "free visitors" for doing some simple and fun things while you're there too. You can easily earn credits which are then converted into advertising impressions. One (1) credit equals five (5) advertiising impressions. NEW USERS - When signing up for the system, and earning their first star, users will receive 500 credits. LOGGING IN - One time per day when you log in, you will receive 25 credits (50 for IBO contributor badge holders). PR/VIDEO COMMENTING - If you have at least 5 stars, you will earn 5 credits (10 for IBO contributor badge holders) per press release or video comment. IBO TRAINING WEBINARS - Come learn how to use this system every Wednesday @ 8PM EST & SATURDAY @ 12PM EST and get a credit code worth 200 credits. BONUS CREDIT CODES - While using this platform, IBOtoolbox admin will from time to time, post credit codes onto the IBO wall (dashboard). These credits codes will earn you 50 credits. IBO TOOLBOX CONTRIBUTORS - IBOcontributor badge holders receive double earned credits. This does not include coupons/bonuses. EVEN MORE FREE CREDITS! - IBOtoolbox has partnered with TrialPay to bring IBO members even more ways to get FREE credits. Then... You turn those free credits into free impressions which then generates free targeted traffic! What do we do with our free traffic? Most of it is sent to team member sites - just like this one. Sample splash pages: Social Profile and Statistics, What is IBO, and Your Free Benefits. And much more! 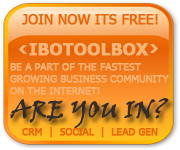 Grab your free IBO Tool box marketing platform and start building your business right now. What we've learned through IBO Toolbox is that you can generate and create targeted traffic to your opportunity with a little of your time and some involvement. In the end you end up with a free and productive IBO Social page to let others know all about you and your business. Update: If you've ever wanted more social media visitors, likes, shares, pins and more then see what we're doing for the team at the Free IBO Social Media Exchange... then get YOUR share of social network traffic too! P.S. We've been going on nine (9) years of team building in Lotto Magic, we joined in 2005. For the full story on how it all started and how we did it for all these years, please feel free to read our Lotto Magic Team blog announcement. Click to join for FREE right now!